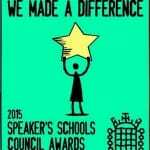 Speaker School Award – we made a difference! 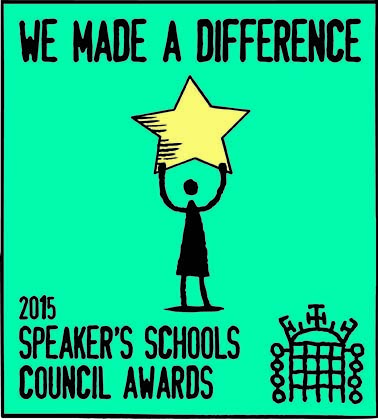 We are thrilled to receive this latest award which applauds the way our children work hard to make a difference to school and the community. Class 1 were nominated by Jamie Ivory (Our Rights Respecting Council Chair) for the House of Commons Speaker Council Award make a difference competition, for their work in asking the council for new road markings outside of school in order to make the road safer and slow down traffic. Unfortunately we did not come first but were successful in gaining this badge to use on our website along with a lovely certificate and letter from the Speaker John Bercow.